I’m on a lippie review spree these days simply because I have been receiving so many good lipsticks that I can’t stop raving about and today’s is my favourite of the lot at the moment! 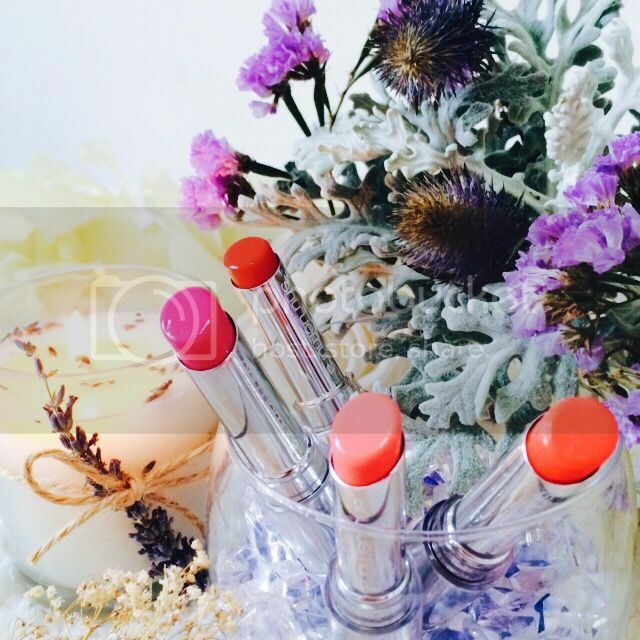 Inspired by stained glass, Shu Uemura Rouge Unlimited Sheer Shine (SGD$33) is a lightly melting balm stick that has a fusion of natural emollients to moisturise your lips. Giving a sheer and shiny finish, it easily helps one achieve a healthy and vibrant complexion by amplifying on your lip tone. 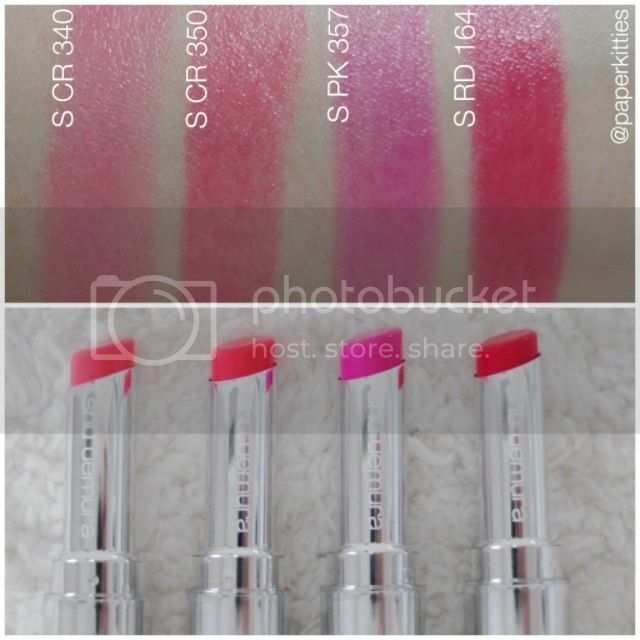 With a selection of pink, red and orange, Shu Uemura Rouge Unlimited Sheer Shine is available in 12 vibrant shades. But don’t be fooled by the colour shown on each lipstick! Despite the vibrant colour pigment, this range offers a variety of colour while retaining some transparency – kinda like a tinted lip balm if you ask me, but much more intense colour pay off! As seen on my lip swatches above, Shu Uemura Rouge Unlimited Sheer Shine allows me to achieve sheer shine whilst enhancing my lip colour with each balm stick I’ve chosen. The colour is pretty buildable to a certain extent and I simply love how vibrant it is without being too loud or in-your-face; they are also very fun for layering and achieving ombre lips. In fact, it’s actually the most moisturising lippie I’ve owned and the colour last forever, even after a meal. 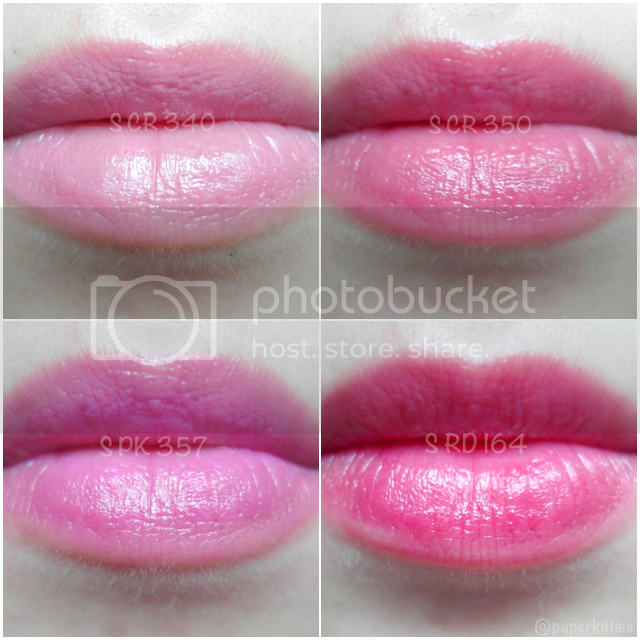 My lips are left hydrated and still tinted after an entire day, making it perfect for everyday wear. I love this range so much! !